Whenever my friends ask me to recommend a high chair, I always point them to Ikea’s trusty Antilop. It’s served me well for the past four years and I’m sure I’m not the only one with one of these cheerfully cheap and easy-to-clean chairs propping up a corner of the kitchen. Hands up if you have one too. Now use those hands to flip yours over and check the manufacturing stamp underneath because Ikea is recalling its world-famous high chair due to apparent faults with the safety strap. The Australian Competition and Consumer Commission this week announced an official recall on any Antilop Ikea High Chair with the number 17389 stamped on the underside. According to the ACCC, the high chair belt buckle can open unexpectedly, creating a fall hazard. 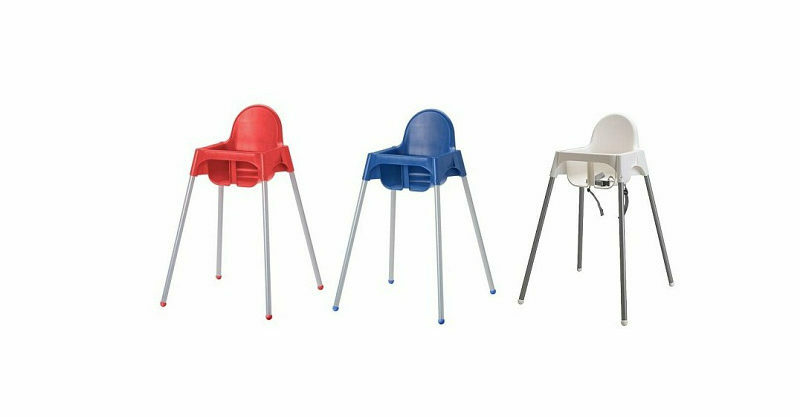 The safety belt recall applies to white, red and blue models of the Ikea high chair manufactured between July 2006 and 2009, and sold in New South Wales, Queensland, Victoria, South Australia and Western Australia between June 2007 and September 2011. If you have an Antilop with supplier number 17389 and production dates 00607-0911, contact Ikea customer service in your state to organise a free replacement belt. And please, from the bottom of our hearts here at Babyology, remember to never ever leave a child or baby unattended in any high chair.